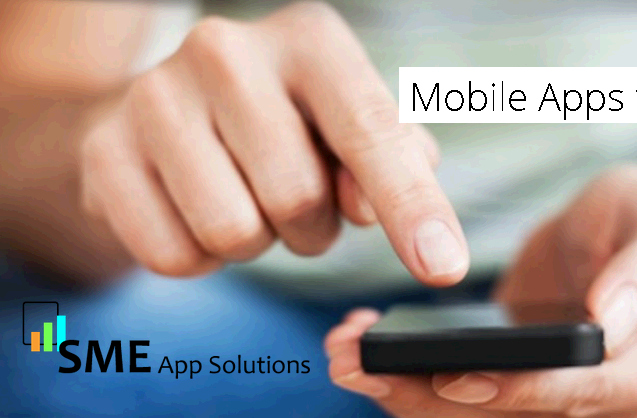 Mobile applications development, custom mobile applications development, mobile applications development australia, mobile apps development, mobile apps.SME App Solutions empower you to focus on the business activities that make you money. We know that in business time is money and our apps are designed to give you more time.Winning new clients is the first step, keeping them coming back to you is the next. Your app will feature a range of highly effective strategies to ensure your clients come back. We develop mobile tools for businesses with an inside knowledge of what is needed in today’s marketplace to capture, reach and retain your customers.Why is it important to get your business an App? This year saw more than half of Australian Internet users using a mobile phone to access the web. World wide sales of smartphones outstripped those of PCs for the first time showing a whopping 1 billion people now using smart phone devices. These are pretty impressive figures and tell us one thing: Having your business’ online presence in shape for mobile users is essential. It’s not really a question of if your business will have a smart phone app, but a question of when. We have removed the barriers that are keeping small to medium sized businesses from competing in the most important emerging marketplace. Our apps are affordable and the process is simple. We offer ongoing support and training to ensure your app becomes the most effective tool in your business. Get started today and have your app live in 30 days. Let us work on your business while you work in your business.It’s simple. It’s affordable. It’s NOW.Get your customers to do the work for you! To access an exclusive deal they must open their app and activate the coupon when they are inside your store. By doing so, they automatically inform their friends (via social media) that they’re doing business with you– effectively offering the strongest referral and testimonial you can ever hope for. Capture your clients’ email details (having them consent to receive email from you in the process) to build your database. Perform targeted and precise email campaigns, build a rapport with your clients and market your products and services.Get your diary filled for you while you do what you do best. It’s like having a personal assistant, but at a fraction of the cost. Take bookings 24 hours a day, seven days a week. The easier you make it for people to book in with you, the more likely they are to do so. Brand your app as a destination, making your business the authority on news and trending information relevant to your industry. Let our app do the work of searching the entire Internet for information relevant to your business and industry.Our service begins where our competitor’s ends. We’ll assign you an account manager to work closely with you to grow your business. They’ll call you weekly to educate you with proven strategies for using your app as a powerful business tool to drive more revenue. We’ll teach you how to get people to download your app & how you can integrate your app into your existing marketing strategy for maximum return on investment. Our easy to use control panel puts you in charge. Update and edit all aspects of your app, keeping it a live and relevant picture of your business. Schedule Push Notifications, update for special promotions or new products and services, changes to your menu – everything your clients need to know. This means that all the tools are in your hand, when you need them.Instantly connect with your customers to let them know of new products in stock, special pricing, a gap in your diary, anything you want. Remind your customers that it’s time to do business with you. There is no more effective way to reach out to your customers than via Push Notification. Enter the world of m-commerce and connect with customers who only want to order from the convenience of their phone. You will no longer need to only deal with customers in your geographical area, giving you access to potential customers Australia-wide. You’ll effectively be open 24/7.